Eco-certify your marina, harbour, yacht club or boat yard. 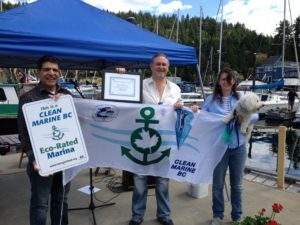 Clean Marine BC is an innovative eco-certification program that recognizes marinas, boatyards, and other boating facilities for their implementation of environmental best practices. 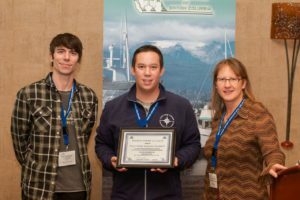 Enrollment in the award-winning program starts with a simple commitment to the Clean Marine BC policy and provides immediate benefits as we guide you through the straightforward process to certification. Certification is valid for 3 years, and continual improvement and innovation is encouraged. Together we have celebrated many success stories with our Clean Marine BC certified facilities, including our pilot project certification of Westport Marina, and awarding the first top rating of 5-anchors to False Creek Harbour Authority’s Fisherman’s Wharf. We hope you will join us in achieving and celebrating Clean Marine BC excellence in environmental best practices! 10 easy steps to becoming the next Clean Marine BC certified marina, yacht club, harbour authority or boatyard! 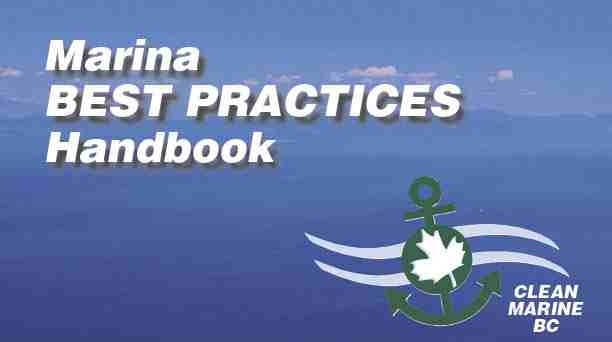 The Clean Marine BC Marine Best Practices Handbook is a valuable resource for all boating facilities (view Table of Contents and introduction). 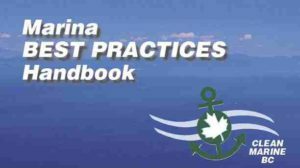 For those interested in certification, the handbook assists marina and boatyard operators in identifying standards to be met and where improvements can be made for your highest possible anchor-rating. 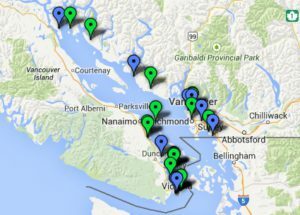 Map of Clean Marine BC certified, and enrolled to be certified, marinas, harbour authorities, yacht clubs and boat yards. 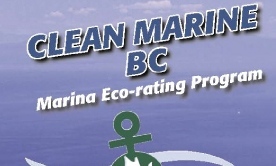 Clean Marine BC marina and boating facility eco-certification is modelled on the Clean Marine Program of the Ontario Marine Operators’ Association.